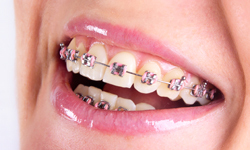 We use In-Ovation, self-ligating metal or clear brackets at our office. 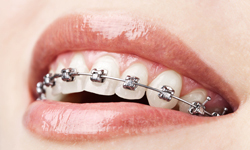 They are made from the same materials as traditional braces but use a specialized clip in place of elastics around the brackets to help the archwire guide teeth into place. The clip helps reduce the amount of pressure being placed on the tooth and requires fewer adjustments because there are no elastics to replace. 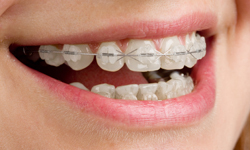 Self-ligating brackets come with traditional metal or clear ceramic brackets.